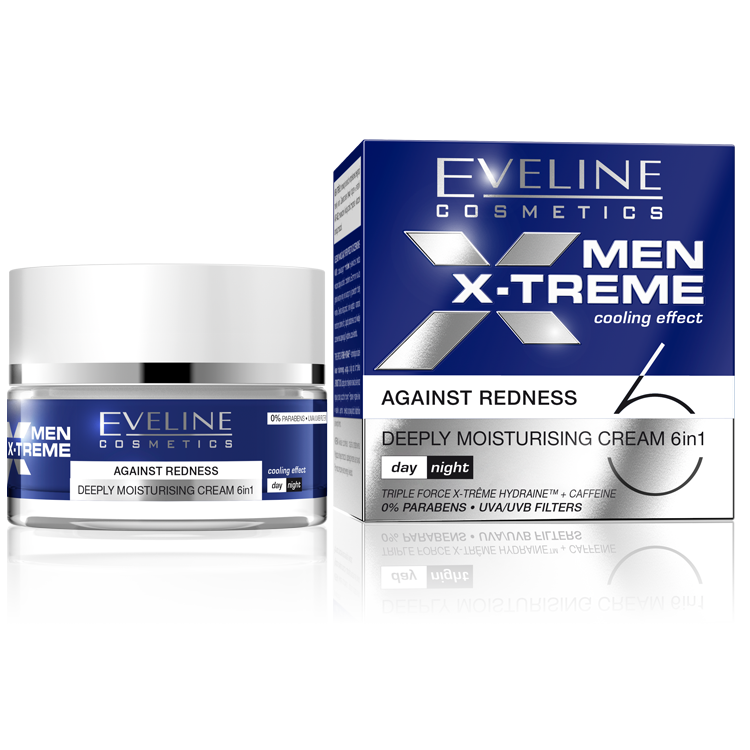 DEEPLY MOISTURISING CREAM AGAINST REDNESS with refreshing menthol extremely moisturises deep skin layers without forming greasy coat. Strongly smoothes out, firms, soothes irritations and removes redness providing 24 hour feeling of comfort. TRIPLE FORCE X-TRÊME HYDRAINETM – technology based on hyaluronic acid, algae extract and LIPOMOIST 2013 complex, each day maximally moisturises skin and regulates sebaceous glands action. CAFFEINE removes swellings and brightens discolouration. Smoothes out wrinkles, restores energy and freshness to fatigued skin. ACTIVE INGREDIENTS: HYALURONIC ACID, LIPOMOIST 2013, ENERGISOMS Q10, CHESTNUT EXTRACT, ACCACIA COLLAGEN, ALGAE EXTRACT. Application: every morning and evening apply the cream onto cleansed face and neck skin, avoiding eyes area.